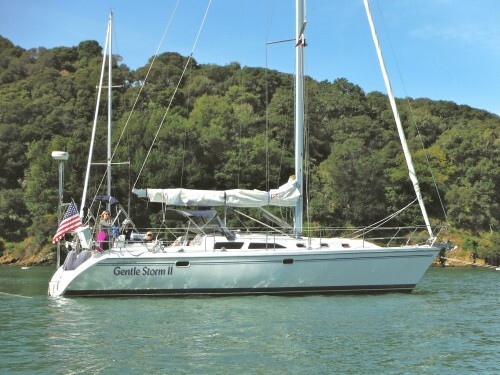 Gentle Storm II is a Catalina 42 sailboat. They are known for being roomy, fast and comfortable. All over the world, these boats are seen as the number one production sailboat over 40 feet. Catalina 42s are extremely safe boats and comfortable long distance ocean cruisers. But they have also competed in many long distance ocean races. They regularly do the Transpacific race to Hawaii and the Sydney- Hobart in Australia. The boat is right at home in big waves and wind. But first, they are comfortable family cruisers, easily sailed and driven. Gentle Storm II has been to Mexico and did California coastal trip in 2005. She also races locally and serves as a family getaway in the summer. 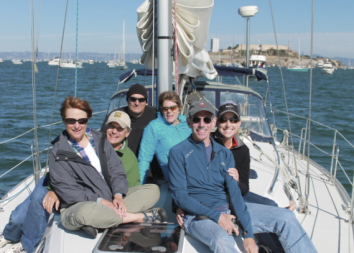 Throughout the year, we do regularly scheduled charters. 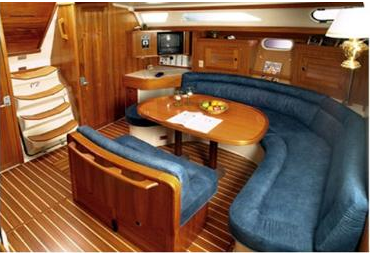 Some of the best features on Gentle Storm II are her spacious decks and main cabin. The cockpit, where you spend most of your time is much larger than most most boats of this size. She has a wide beam which means there is much less heeling than on a more narrow boat. Gentles Storm II also has a dodger to keep the cockpit warm and dry.